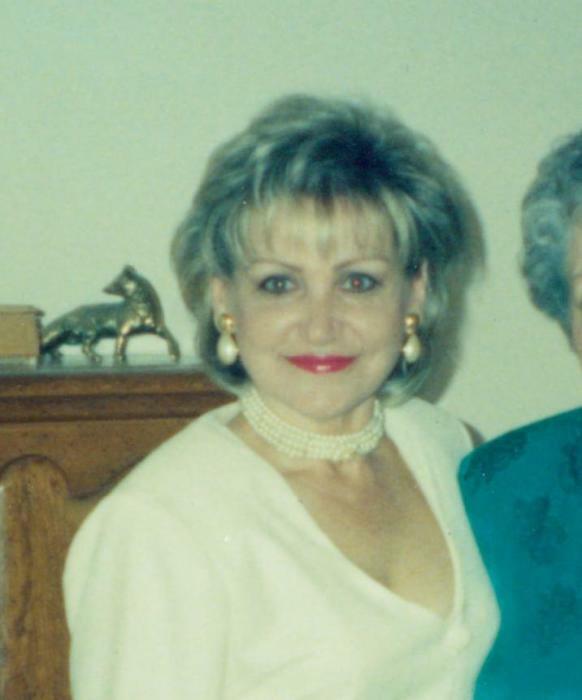 On April 6, 2019, Nadia Peck, 70, of Jarrettsville, beloved wife of 24 years to Robert G. Peck; devoted mother of Glen Price; cherished grandmother of Emma Price; dear sister of Vera Flannigan; aunt of Vera Ducept and Laura Tumminello. Nadia Peck was born in Belgium on May 18th, 1948 to parents Maria and Daniel Petrov who were Russian refugees during World War II. Her father, Daniel Petrov was a Russian Officer who was captured by the German Army. Her mother, Maria Petrov, was held captive by Nazi Soldiers and put into a German labor camp. Afterwards, the family emigrated from Germany and came to America in 1956 with her parents and sister. On July 8, 1966, Nadia became an American citizen and worked extensively for the U.S. Department of Veterans Affairs. Until retirement, she was also known as a successful entrepreneur known for "Nadia's Place" and "Nadia's By Design" in Jarrettsville, Maryland. Family and friends will honor Nadia's life at the family owned Evans Funeral Chapel and Cremation Services – Bel Air, 3 Newport Drive (Rt. 23 & Rt. 24), Forest Hill on Wednesday, April 10, 2019 from 4-8 P.M. where a Funeral Service will be held on Thursday at 10:00 A.M. Interment Dulaney Valley Cemetery.